Mt Jewett to Kinzua Bridge Trail Club (MJ2KB )- The MJ2KB Trail Club is a group of (volunteer) advocates for the rail-trail from Mt Jewett to the Kinzua Bridge State Park & Visitor Center. This section of trail is a 3.4 mile portion of the Knox Kane Rail Trail that runs 75 miles from Clarion County to McKean County. We are also developing the section of the Knox Kane Rail Trail from Center Street, Mt Jewett to US Route 219 at Lantz Corners. These sections will be open to walking, running, biking, pack & saddle, skiing and snowmobiling in the winter. Caution: Handicap users cannot access the section of trail between Mt Jewett and Lantz Corners at this time. Knox Kane Rail-Trail Corridor - The abandoned, rail-banked rail corridor begins in North Clarion Junction, Clarion County, continuing northward through Forest, Elk and McKean counties and ending at the Kinzua Bridge State Park. Tuna Valley Trail - The Tuna Valley Trail Association creates and maintains a wide network of trails in the vicinity of Bradford, Pa.
North Country National Scenic Trail - Also known as the NCT, this footpath, which stretches approximately 4,600 miles from Crown Point in eastern New York to Lake Sakakawea State Park in central North Dakota, intersects the west end of the Kinzua Valley Trail near Route 321 and the Red Bridge Recreation Area. 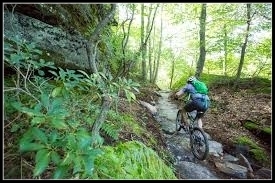 Jakes Rock Overlook and Mountain Bike Trail - Located on longhouse National Scenic Byway, near the Allegheny Reservoir and Warren, PA, this spectacular trail system offers stunning views and challenging bike trails for all ages. you can also check out Pennsylvania Kinzua Pathways for more information. 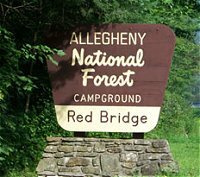 Potato Creek Trail - The Potato Creek Trail Association maintains a network of multi-purpose trails encompassing the Smethport area of the Pennsylvania Wilds. 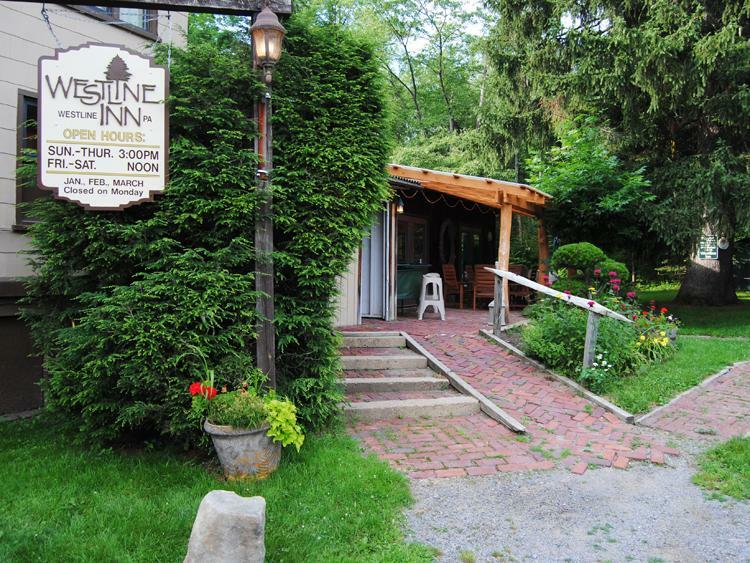 The Westline Inn - The Westline Inn, located in the home/office of Edmund Day (owner of the Day Chemical Company), offers both a bar menu and a fine dining experience. Rooms are also available at the Inn. The owners of the Westline Inn, Jon and Trudy Pomeroy and Bill & Julie Frick are all members of the Kinzua Valley Trail Club and strong supporters of the trail project. Bob Cummins Construction Company - Home builder, General Contractor. Bob & Don Cummins have dedicated many hours of labor & equipment to make our trail what it is today. Vintage Sport Auto is a classic and antique car restoration business located in Westline. KVTC Board Member Greg Davis also sells his artwork - go to (Vintage Sport AutoArt) to see his fine art. The Laughing Owl Press - The Laughing Owl Press is a letterpress printing business located in Kane, Pa. Invitations, business cards, coasters, posters, and art prints are all done at The Laughing Owl using 100 year old printing presses. Contact Joe or Andrea Lanich (generous supporters of our trail). Sign Design of Westline - Contact Jerry Clark for signs for your business or home. You'll see his signs along the trail. Just Riding Along - Just Riding Along is a full service bicycle shop in Bradford, PA Also a generous supporter of the Kinzua Valley Trail club. 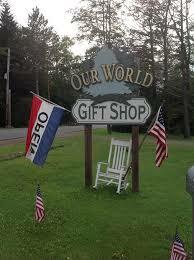 Our World Gift Shop - Located on the road into Westline PA. "Great little shop with a good mix of quality goods, crafts, textiles, and food items." Mary & Mike Angello are long time supporters of the Kinzua Valley Trail Club. 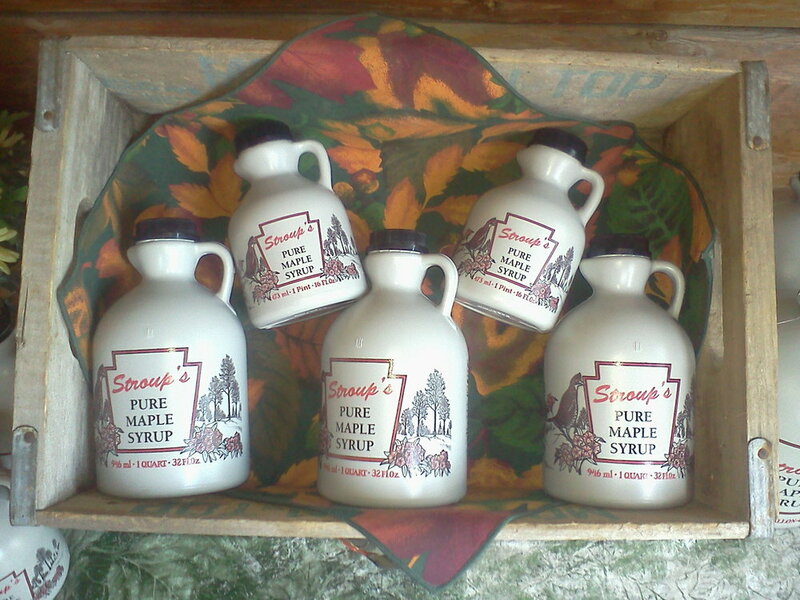 Stroup's Pure Maple Syrup - Give a gift from the forest! McKean County's finest maple syrup; made near the Kinzua Bridge State Park. Ken Stroup has been making pure maple syrup for over 30 yrs. Carolyn Stroup is a KVTC Board Member. The Ink Pad Sign Shop - Contact Jolene Ebeling for all your printing needs. See her decals and signs She is a trail club member also. 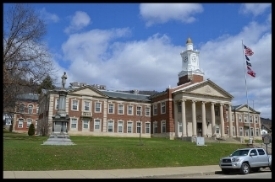 Allegheny Highlands Bird Club - The Allegheny Highlands Bird Club was formed in August of 2011 to inspire the appreciation, enjoyment, and conservation of birds and their habitats through research, education, compilation of records, and outreach in the Allegheny Highlands region.